It’s no secret that Fierce loves a party, and over the years we’ve thrown some truly Fierce ones. From bum printing in a basement (yep – bum in paint; bum on wall), to a surprise appearance from The Knife’s Olof Dreijer (in drag), a man literally walking on fire and performance artist Brian Catling strapping nine personal alarms to his face in the middle of the dancefloor and setting them off – and that was all just one party: Harminder Judge’s Holy Mountain Party, Fierce Festival 2012. Fierce believes club culture is a legitimate, political, innovative and beautiful culture equal to anything hanging in a gallery or on a stage – or anywhere else in the Fierce programme. If we look at histories of club culture time and time again we see queer and POC communities at the centre of new musical and cultural developments – from disco and ball culture in New York to techno in Detroit. These developments have often accompanied difficult social circumstances against backdrops of white supremacy and racial injustice, homophobic police forces and crises such as AIDs, with the dancefloor acting as a place of solidarity, release and ecstasy. This year at Fierce we present a number of events that consider electronic music, the politics of the dancefloor and communal joy. 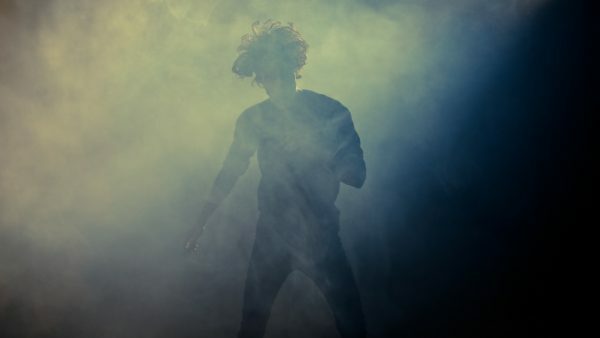 Lucy Suggate’s iconic solo dance work PILGRIM is set to music from techno producer James Holden’s acclaimed 2013 album The Inheritors. “It is a reminder of the ancient and enduring kinship between Dance and Music and the deeply transformative qualities of both. The work is haunted by remnants of English folk heritage and pagan sensibilities shifting between hypnotic and euphoric states”. In Barbara Ehrenreich’s fascinating book Dancing In The Streets she charts a history of collective joy that is as old as the human race itself. From fossilised footprints found in French caves that suggest dance like movement to modern day carnival Ehrenreich argues that dancing is something inherent in all of us playing a significant role in many religious and cultural events. PILGRIM is a primal and ritualistic performance that is seemingly both ancient and contemporary. Over 45 minutes Suggate let’s go taking the audience through various states of exhaustion and euphoria. For choreographer Michele Rizzo clubbing is like going to church. In Rizzo’s dance piece HIGHER three lone figures attempt to become one to an infectious soundtrack by Warp Records artist Lorenzo Senni. Rizzo studied people dancing in clubs to develop this choreography challenging notions of what constitutes ‘high art’ legitimising an often overlooked form of expression (see also Owen Parry’s Fan Art inspired fic.the.sky). Scheduled for 10pm on the Saturday night of Fierce this is the perfect show to warm up for our big Club Fierce party. We guarantee, by the end of this you’ll be gagging to get up and dance and that’s why we’ve planned our huge Club Fierce festival party immediately after! Featuring our biggest line up to date, you’re all invited to join us on the dancefloor at Club Fierce: We Are Fierce for some ecstatic communion! Parisian queer DJ Kiddy Smile of Let A B!tch Know Fame headlines the party, Deeply influenced by the sleazy, lazy feel of 80s and 90s house music and the fabulous legacy of the Ballroom scene we’re delighted to welcome him to Birmingham for the first time. Over the years Fierce has welcomed many a nightlife legend and this year is no exception as we welcome NYC club kid Imma Asher for a very special performance. Alongside this Swiss choreographer Marie-Caroline Hominal presents the UK premiere of her gig/show/dance Silver and Serbian rapper Gnu? ?i is an exuberant, eclectic singer who has made a name for herself through the creation of pumping club music sure to get you moving. Not least we’re also delighted to welcome LMGM to the decks. Part of the team behind Berlin based party Room for Resistance a queer forward collective focused on community building and creating space & visibility for women, gender queers, non-binaries, trans people, black people & people of colour in Dance Music. LMGM – real name Luis-Manuel Garcia, currently an ethnomusicologist at the University of Birmingham also penned this brilliant article for Resident Advisor An alternate history of sexuality in Club Culture which offers a brilliant introduction to the themes touched upon here. Oh and for vinyl aficionados – be sure to see Louis Vanhaverbeke’s show Multiverse, drawing on rap and hip hop culture, he manipulates vinyl in a variety of surprising ways – with some killer track selections and even some dry ice. Previous: Fierce Volunteers: We want you! Next: Watch the Fierce 2017 Trailer!